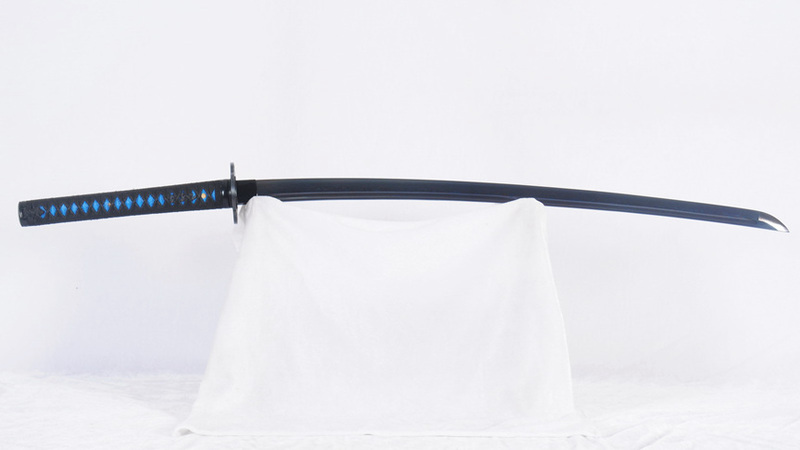 Ryan1256 is an entry-level katana. 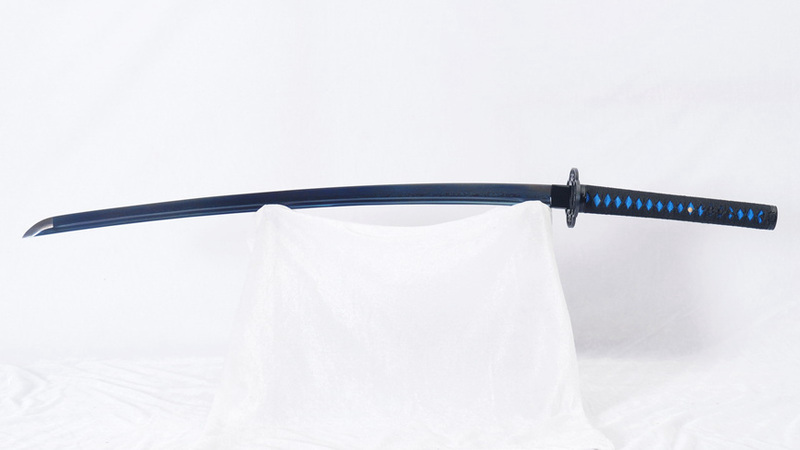 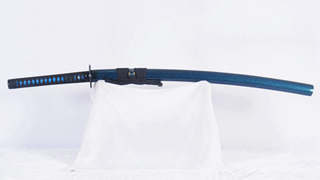 The blade is made of folded 1060 carbon steel which was through-hardened. 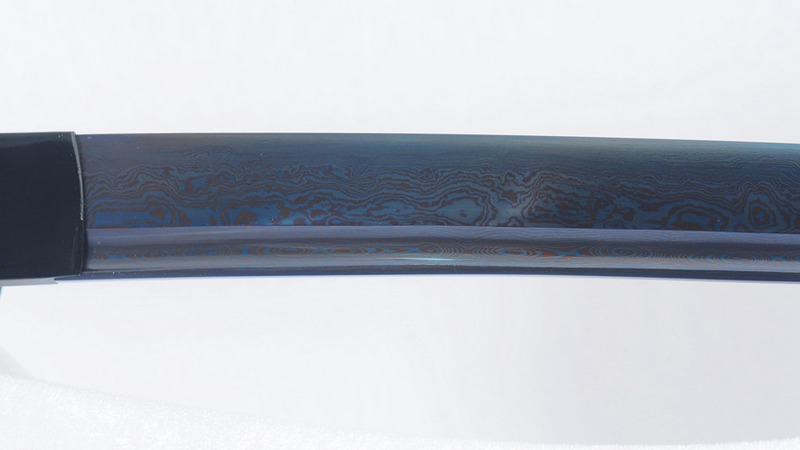 Being through-hardened means that the blade does not have a natural hamon but the folding process during the forging of the blade means that it has a beautiful grain pattern which is highlighted by its oxidized, blue coating. 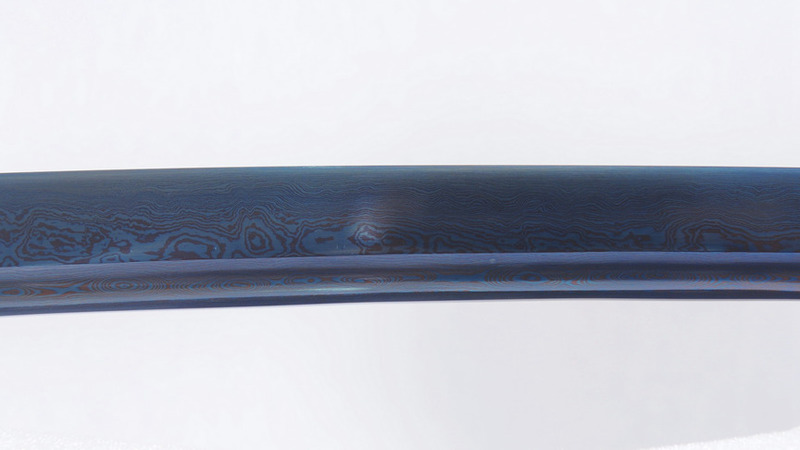 The coating also adds corrosion protection on the blade. 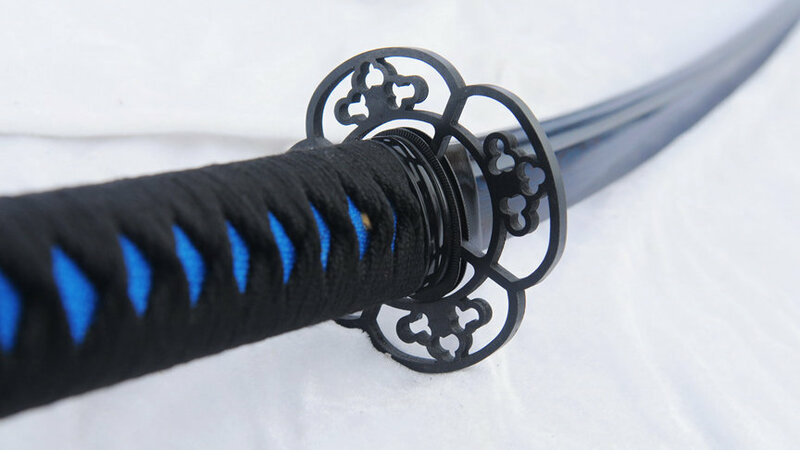 Through-hardened blades are suited for novice practitioners or backyard cutters as they can take botched cuts better. 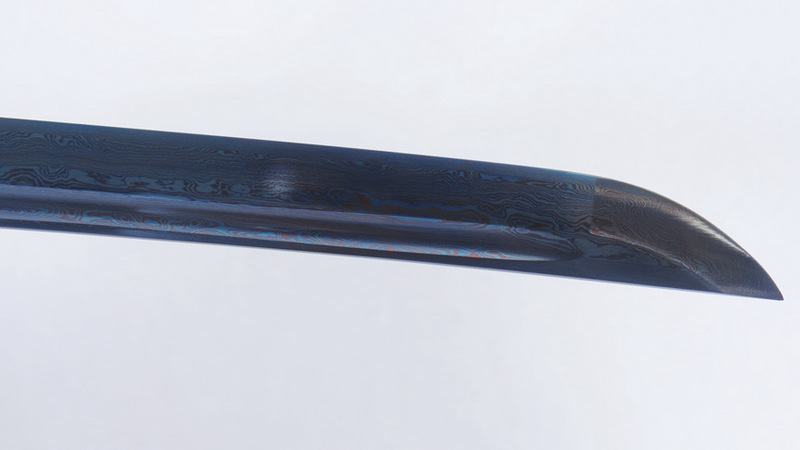 This blade has a shinogi zukuri geometry with a bohi. 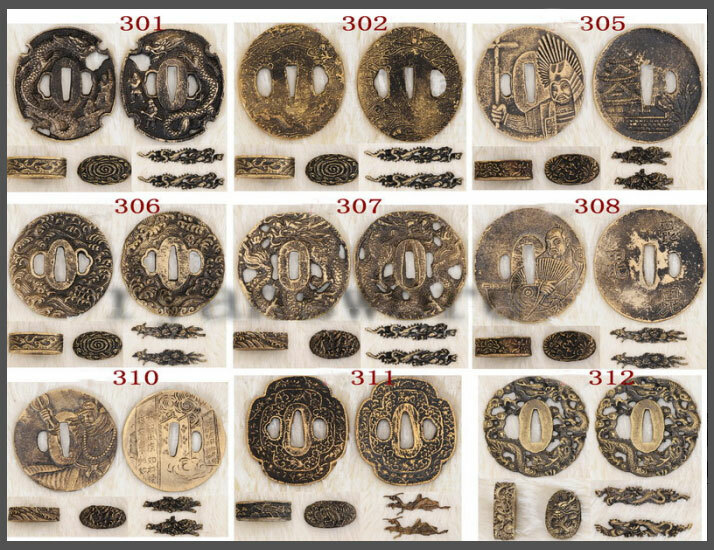 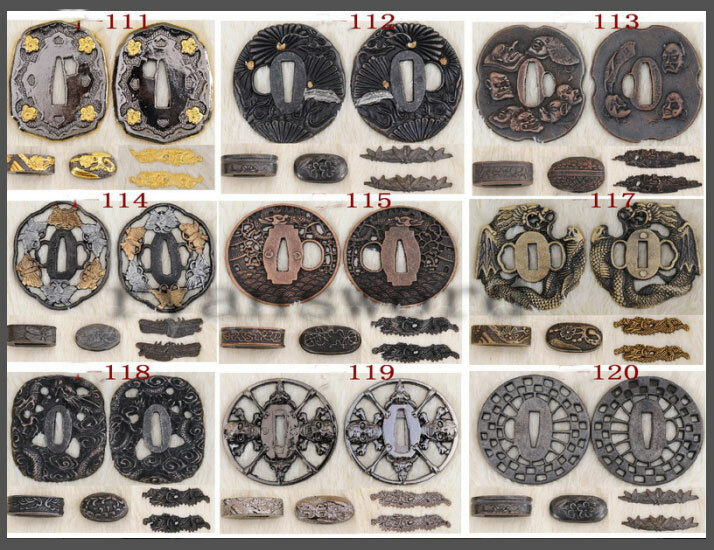 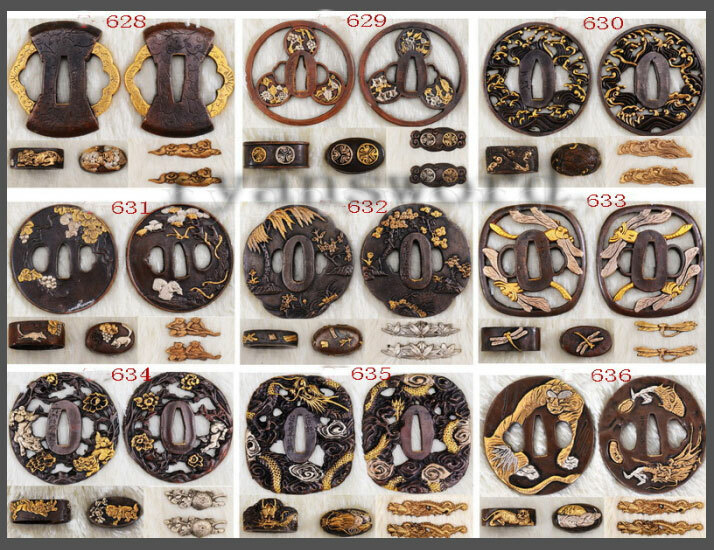 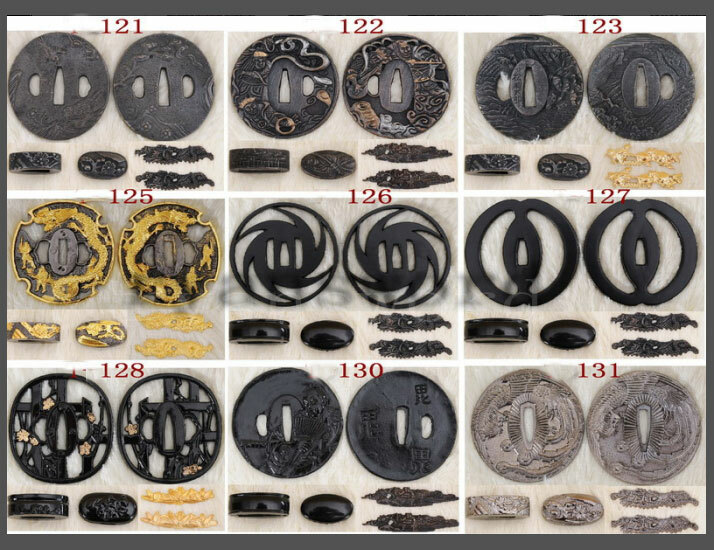 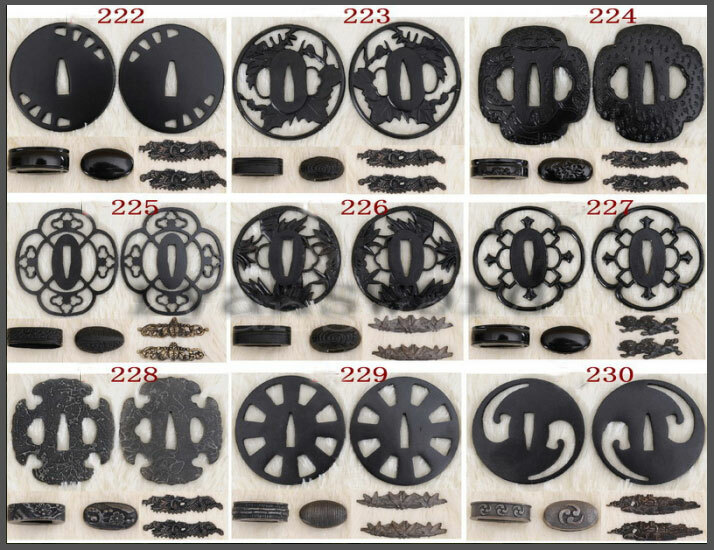 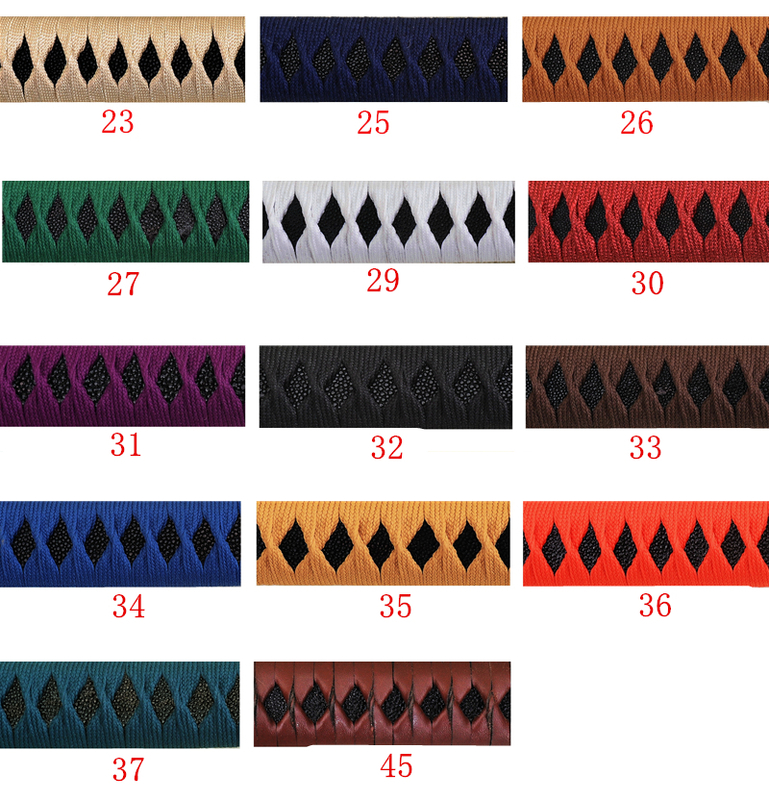 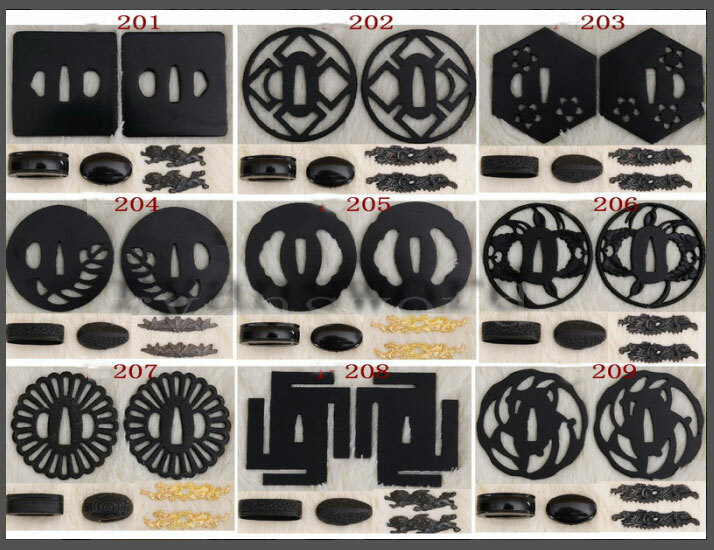 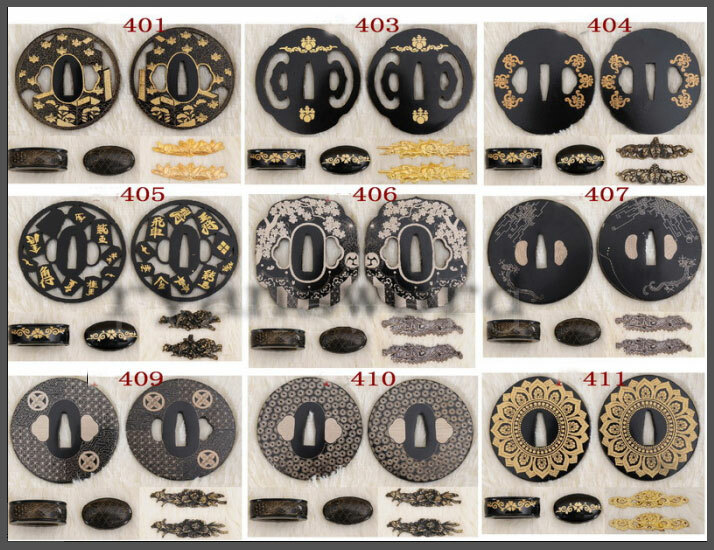 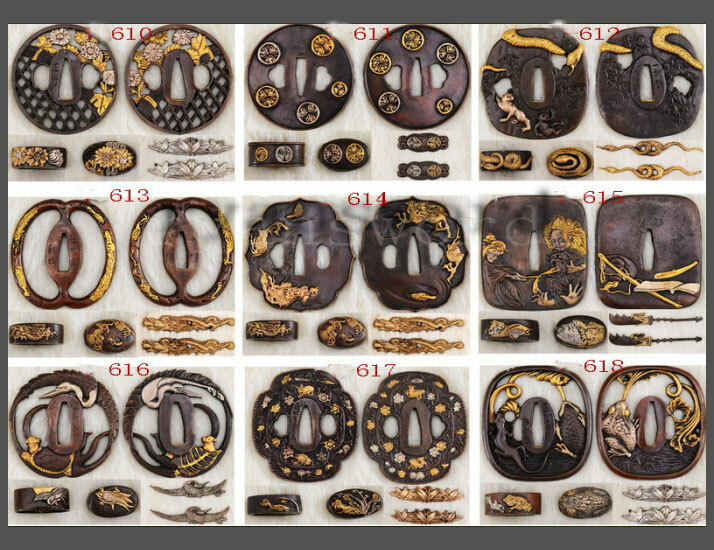 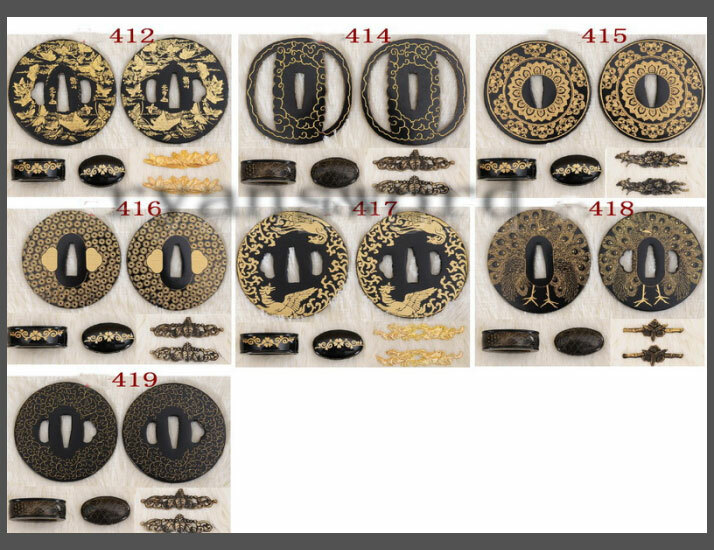 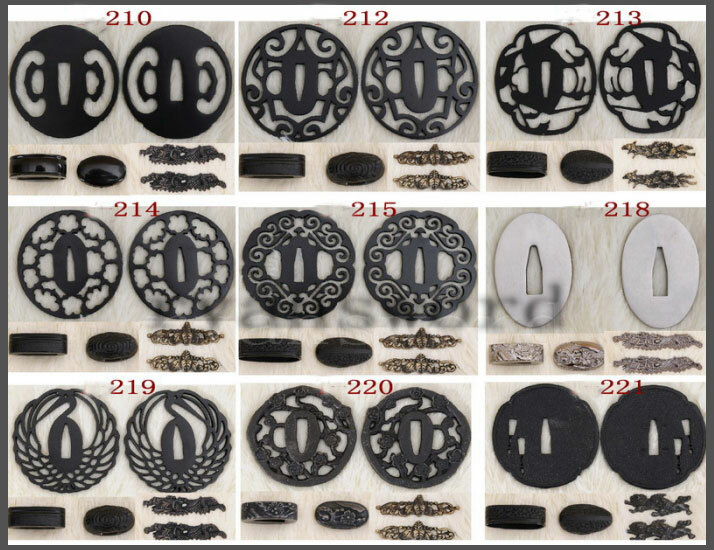 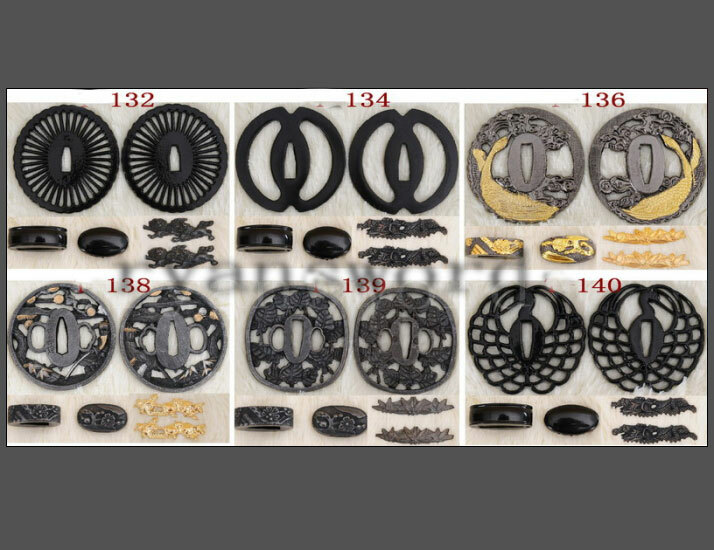 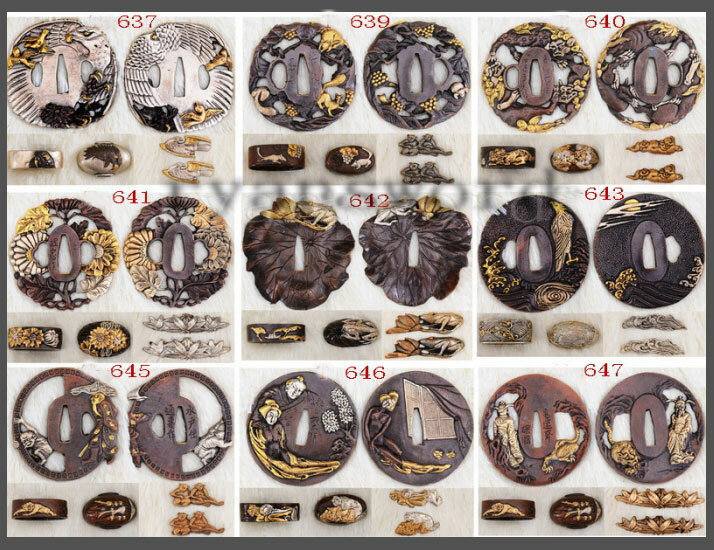 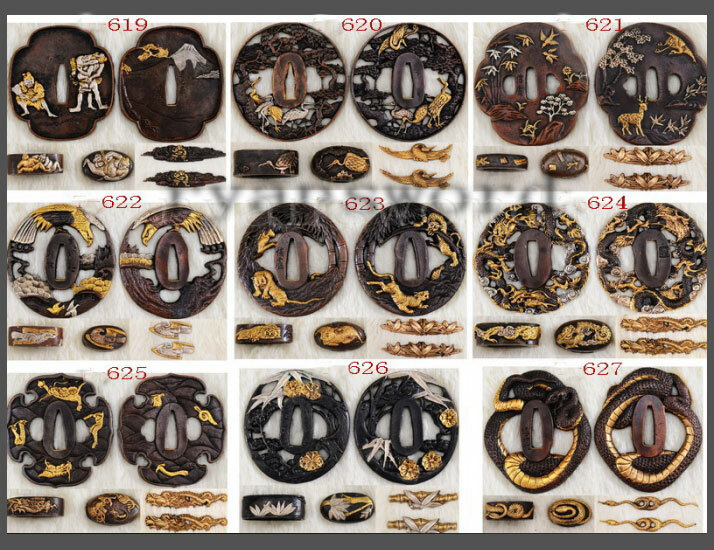 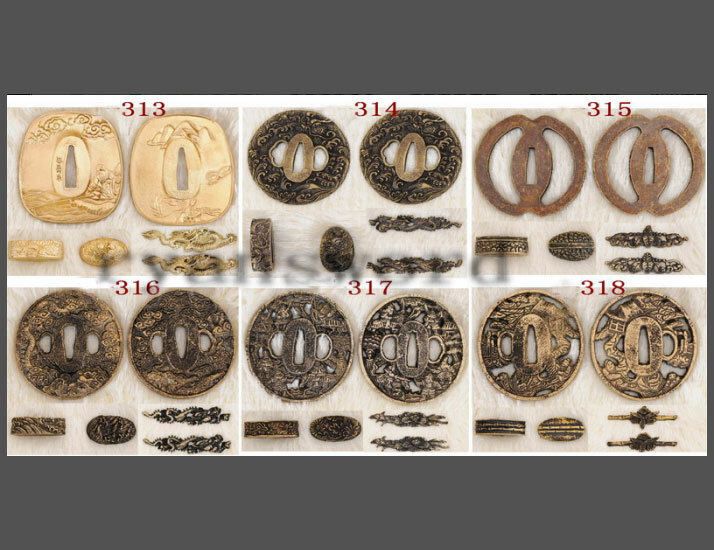 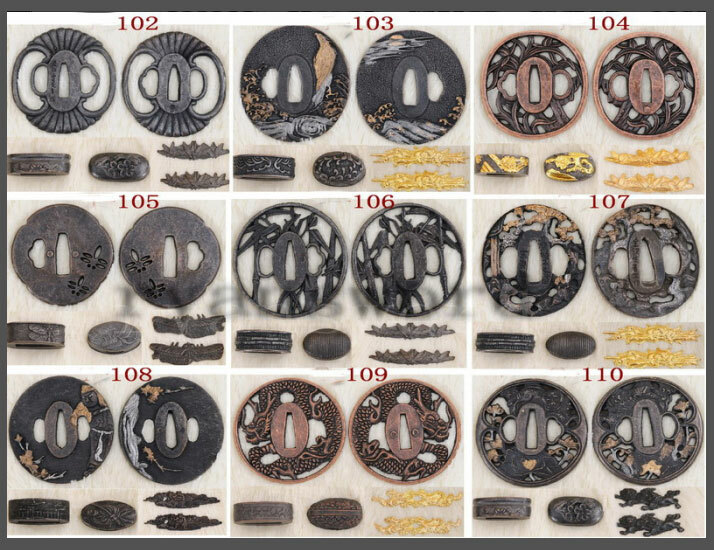 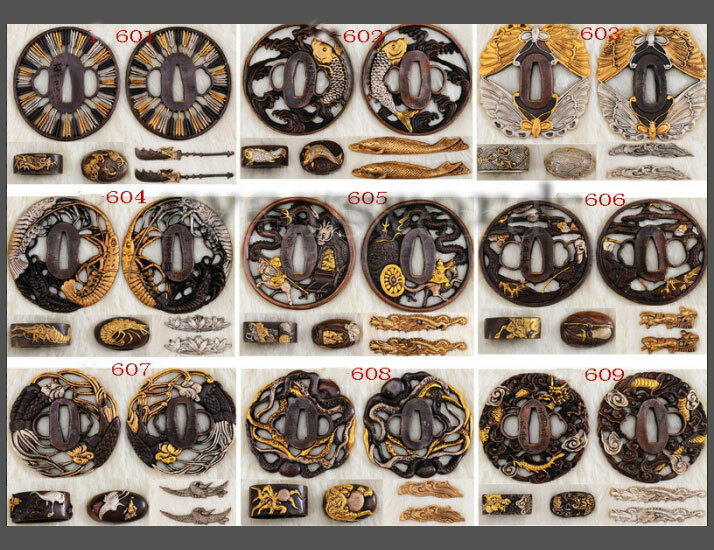 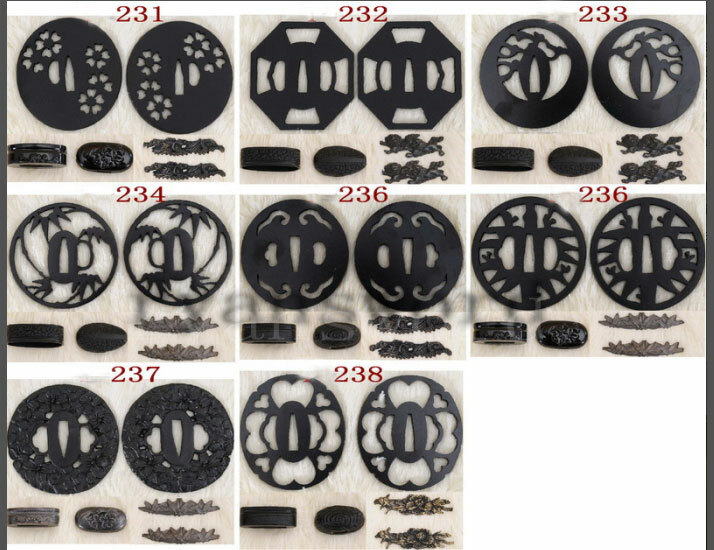 The tsuba is made of blackened iron while the habaki and seppa are blackened brass. 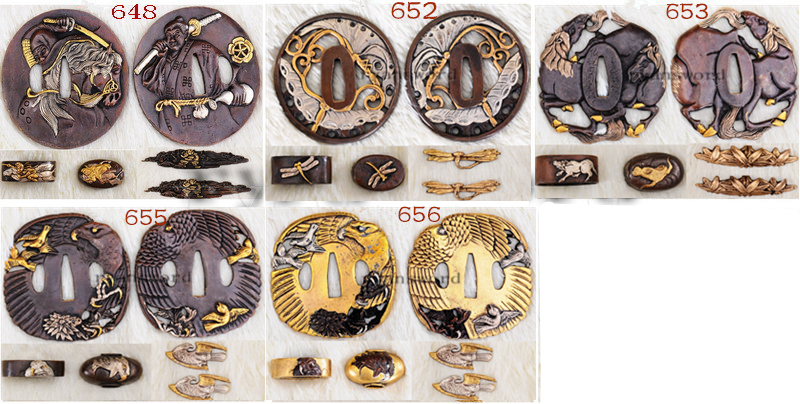 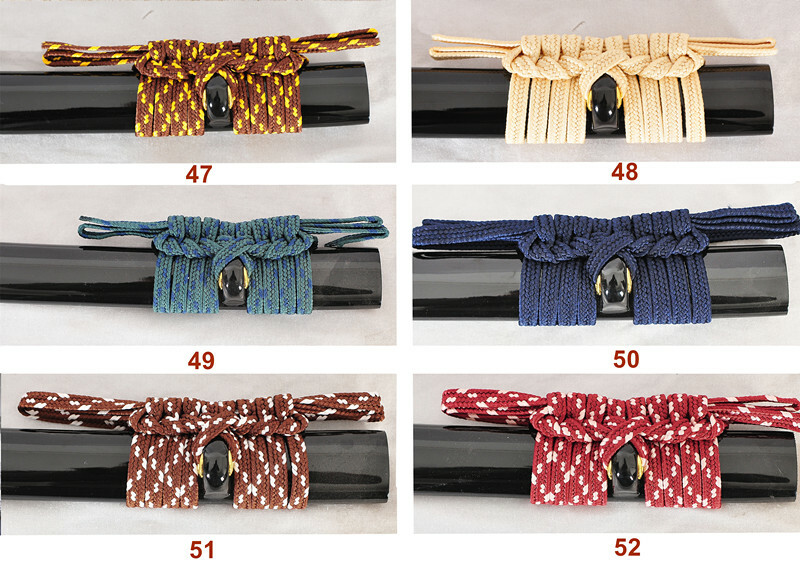 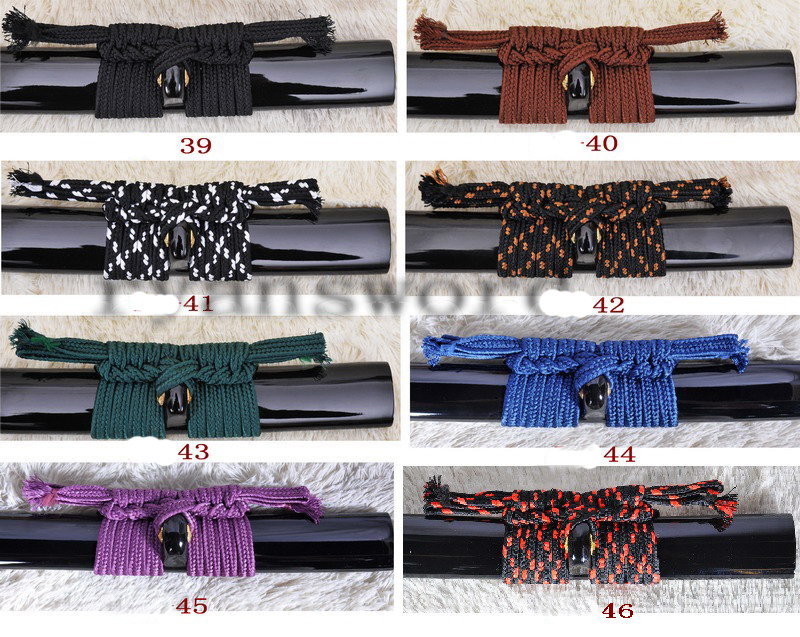 The fuchi, kashira and menuki are also plain black. 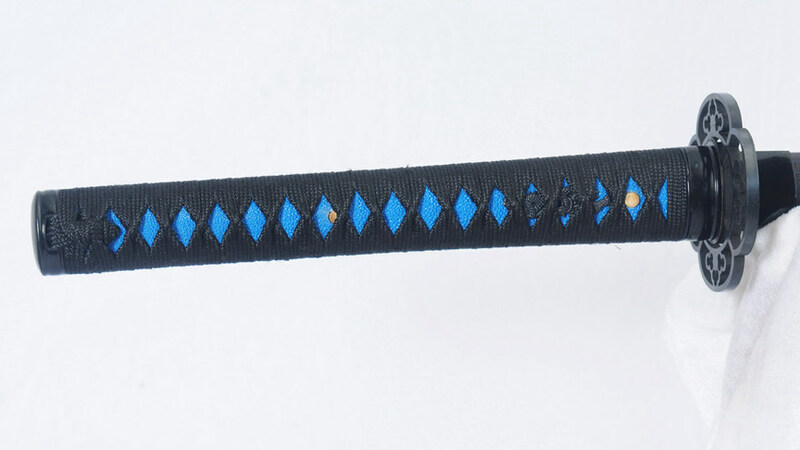 The tsuka has rayskin panels painted with blue lacquer. 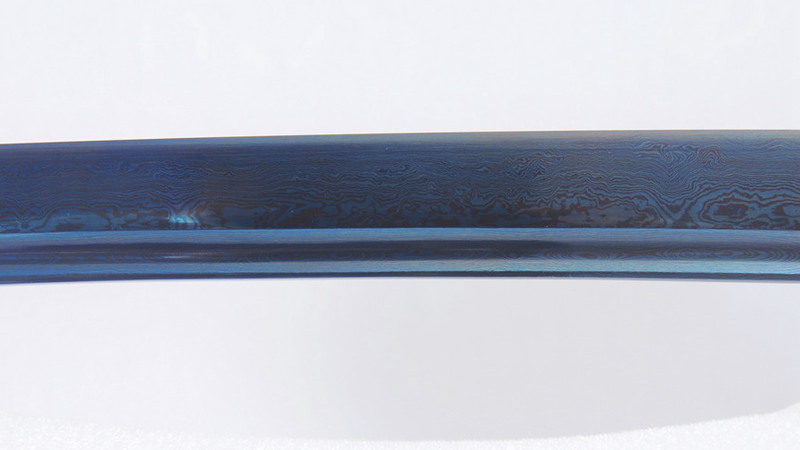 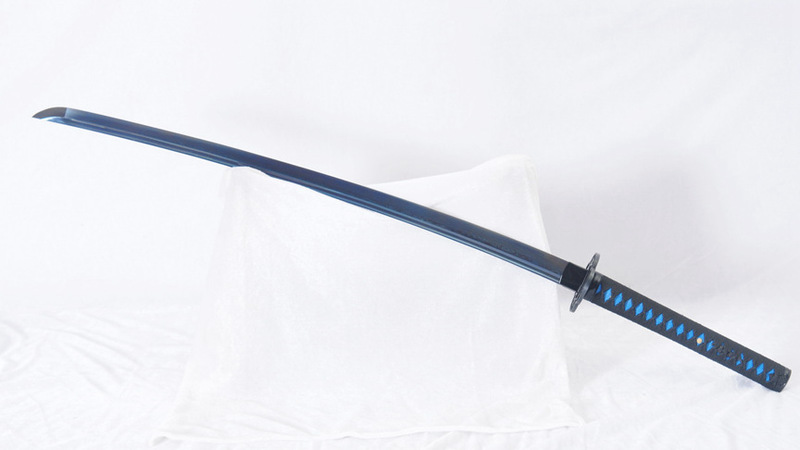 The saya is made of wood with smooth, metallic, blue lacquer.